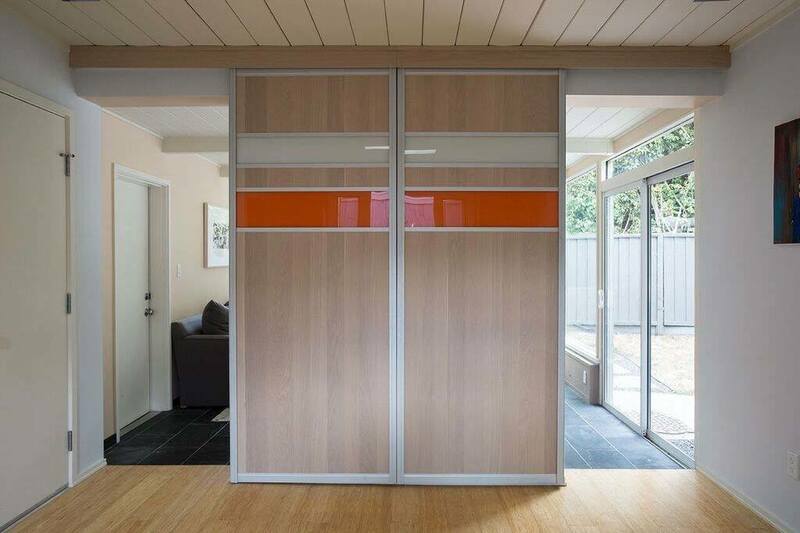 Klopf Architecture has sent us images of one of their latest projects of a classic Eichler home that has undergone a complete overhaul in Palo Alto, California. 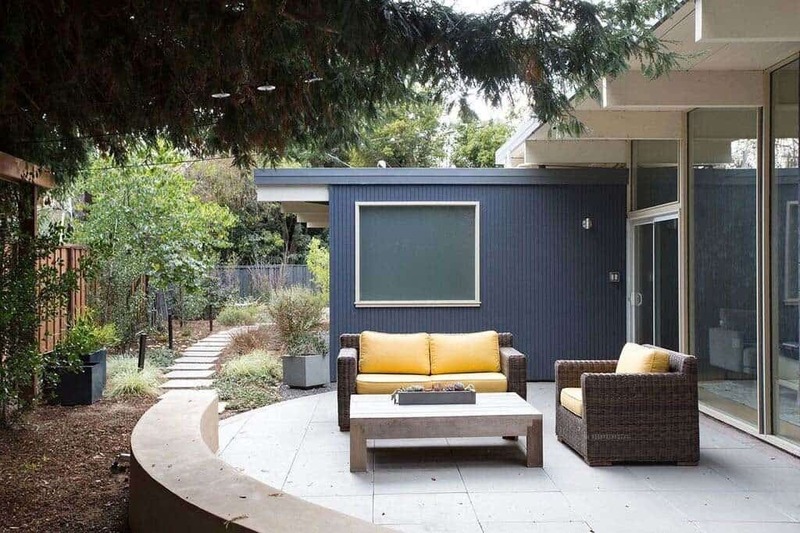 This luminous residence features a nice indoor-outdoor flow, with an open concept layout. 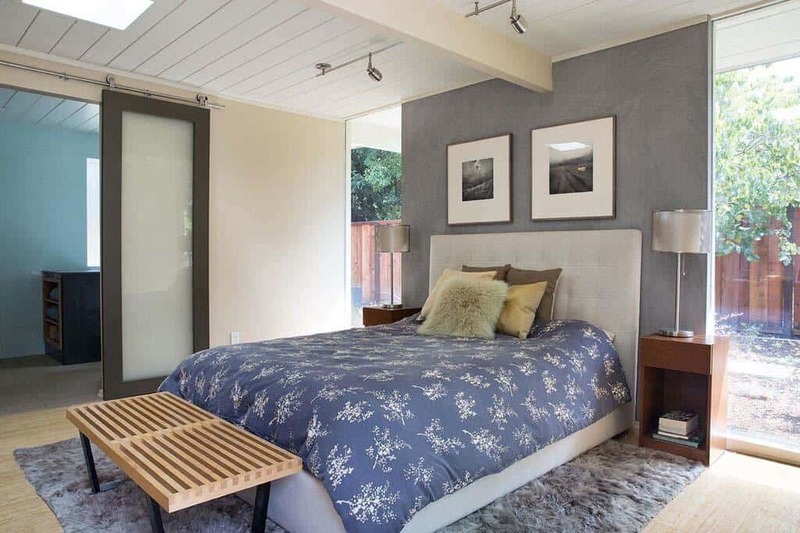 A sliding glass door in the living area connects the interiors to the exterior, leading to an outdoor patio area featuring cozy furnishings and a nicely landscaped backyard. 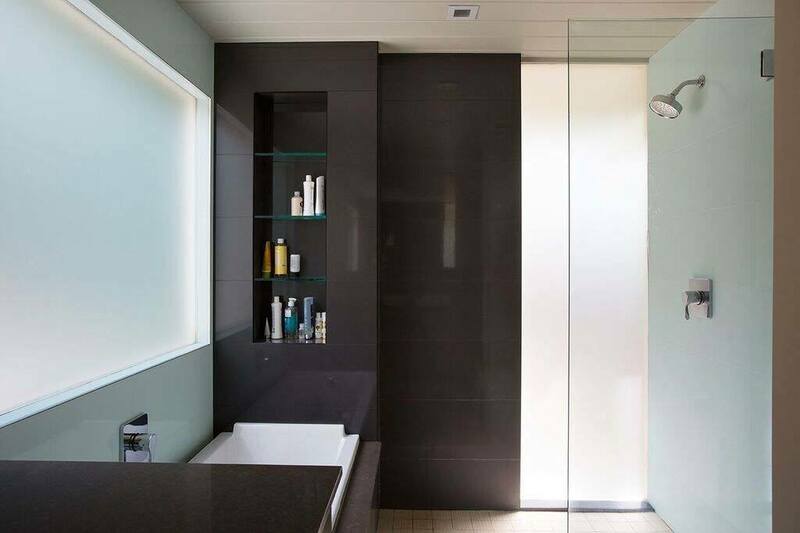 The interiors features contemporary furnishings that presents a clean and simple aesthetic that is easy to maintain. In the kitchen a center island offers a breakfast bar for additional dine-in seating. 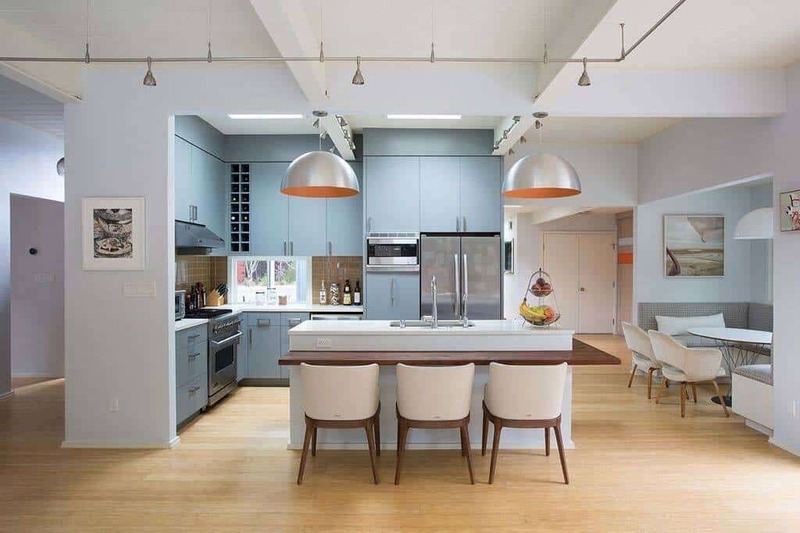 Blue-gray custom cabinetry has a serene effect against the otherwise white surroundings. A built-in breakfast nook offers a nice space to savor cuisine, while enjoying views to the backyard through the window above the banquette. 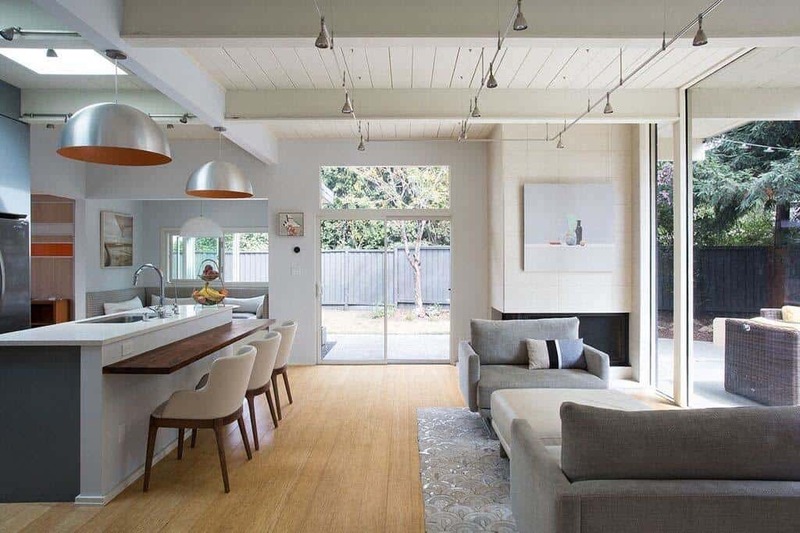 Track lighting over the living area offers mood lighting, with pendant lights over the kitchen island supplies excellent task lighting. What We Love: The living room, kitchen integration feels very cozy and warm, offering a nice family living environment that is surrounded by glass that invites nature inside. 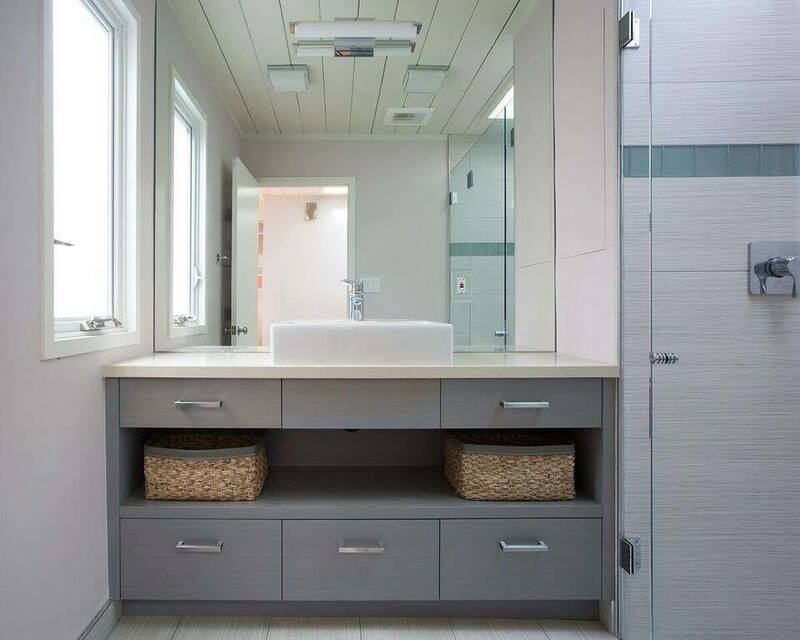 A soothing color palette of neutrals creates a welcoming atmosphere that makes this remodel a successful integration of old and new. 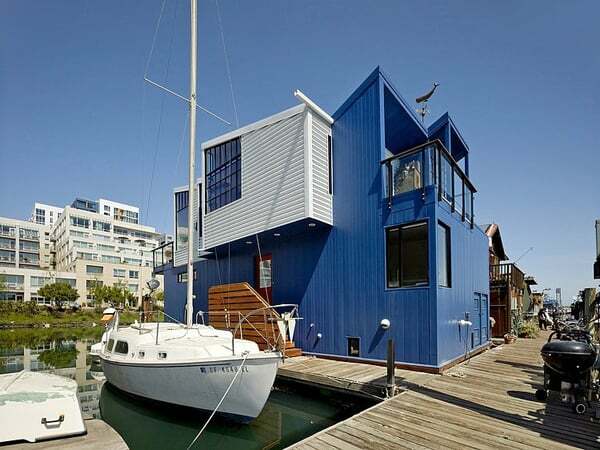 What do you think of this remodel? 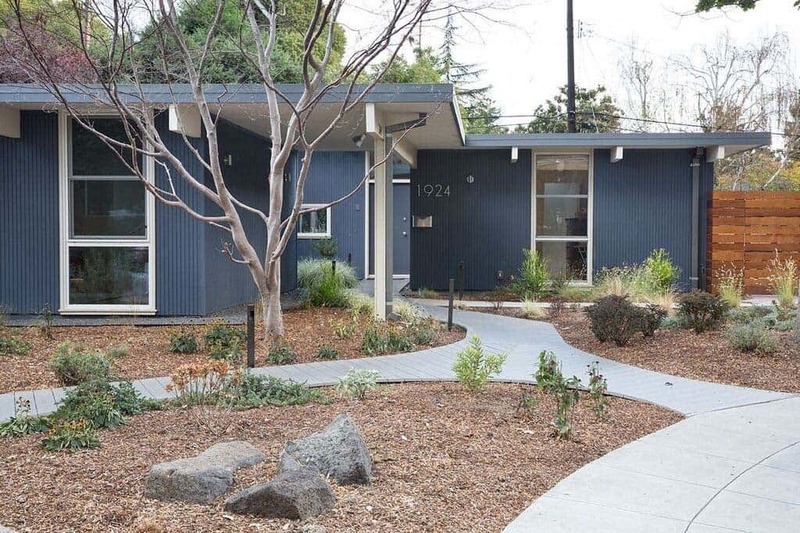 Are you a fan of Eichler-inspired home renovations? Let us know your thoughts in the comments section below! 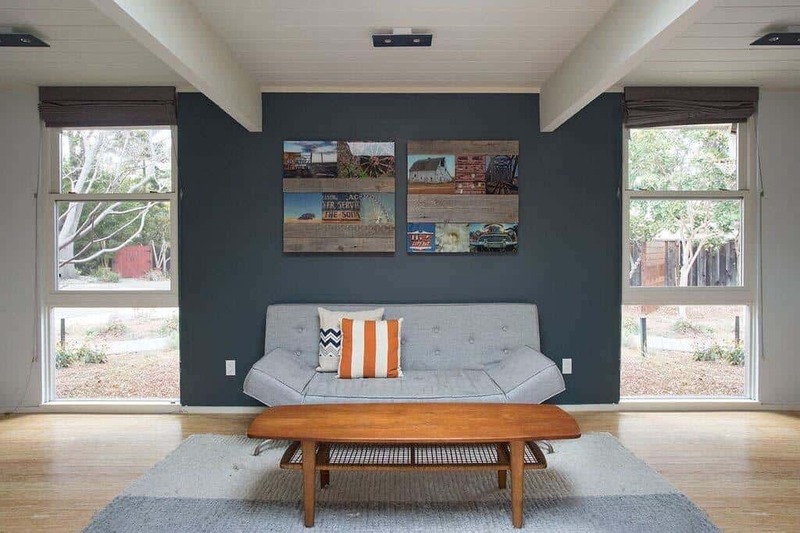 A gray accent wall in the living space helps to make the art displayed on the wall to really pop. Simple and causal furnishings can be seen throughout the home, inviting you to sit down and relax. 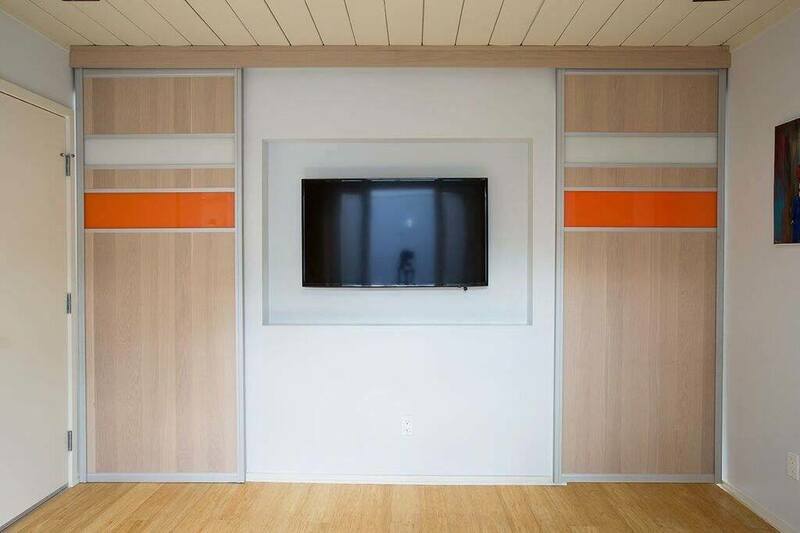 This sliding panel wall helps to not only divide living spaces, but to conceal the television when its not in use.